Precious baby girl baptism rosary bracelet designed with pink freshwater pearls, Swarovski crystal accents and a petite sterling silver cross charm. This precious baby baptism rosary bracelet created with adorable pink freshwater pearls, Swarovski crystal accents* and a sterling silver cross charm will be a cherished keepsake forever. 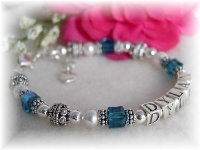 On her wedding day, she can attach this baby bracelet to her garter as the "something old" that holds fond memories! Includes a gift card sentiment and box. 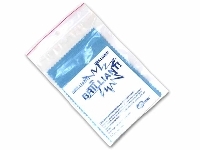 Note: 4-1/8" is the smallest size available. Will fit most 0-3 months unless child is exceptionally small. 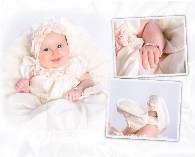 In this case, we recommend one of our non-rosary baptism bracelets.